Do you ever wonder why millions of people contract diseases and die and nobody can explain why? What would you say if you learned that you have a greater chance of contracting cancer from your sunblock than you do from the sun? Do you know that most over-the-counter sunscreens contain cancer causing chemicals and other ingredients harmful to your health? Do you know that there’s no evidence that a higher SPF provides any more protection from skin cancer than a lower SPF? The truth about sunscreen is one of the best kept secrets in the world — millions of people aimlessly using sunscreen that can do them more harm than good or that doesn’t even prevent skin cancer. Where is the FDA to protect you? They’re busy protecting corporate profits. Fortunately, there are non-profit organizations that provide consumers information and protection. 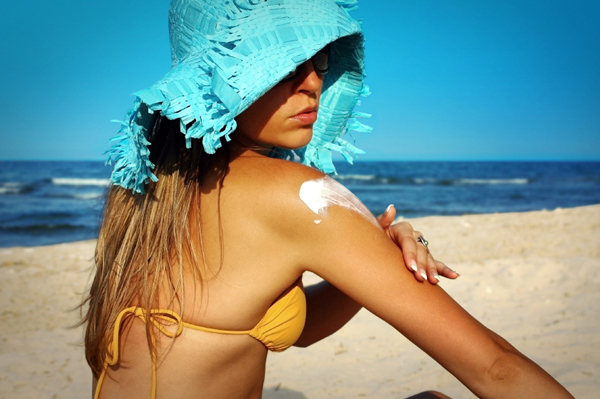 The Environmental Working Group’s 2013 Sunscreen Guide evaluates the best and worst sunscreens based on their ingredients. You can enter the name of your sunscreen and search for the safest brands. Please buy sunscreen that contains the “cruelty-free” label or specifies “no animal testing.” Most of them are plant-based and do not contain harmful ingredients. It’s an easy way to protect your health and show compassion for animals.